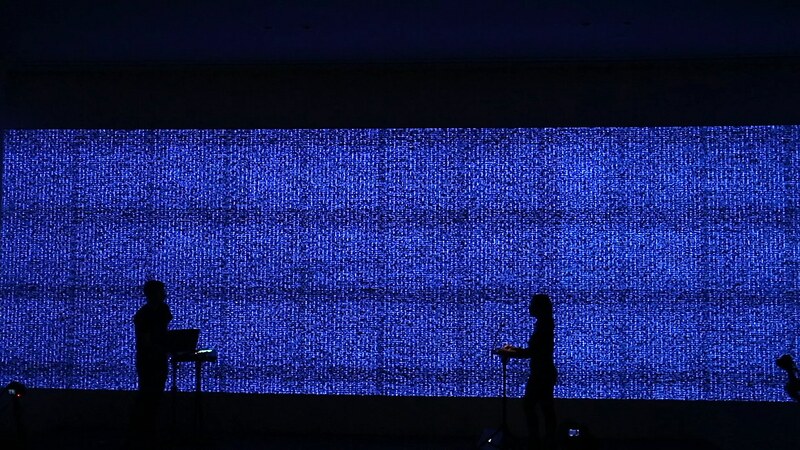 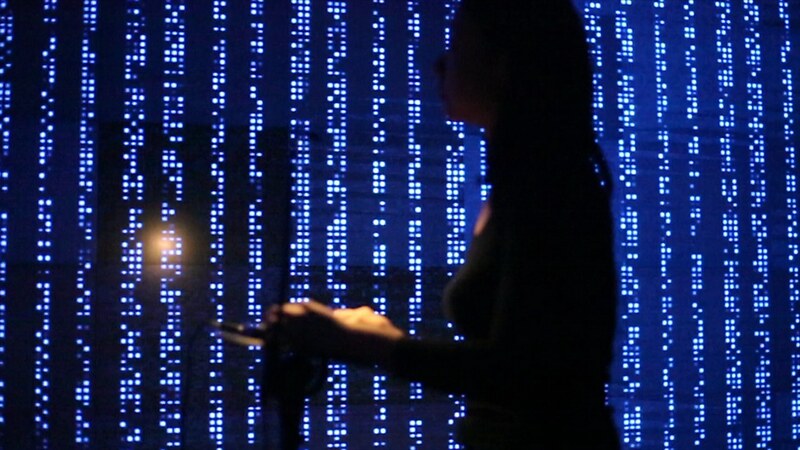 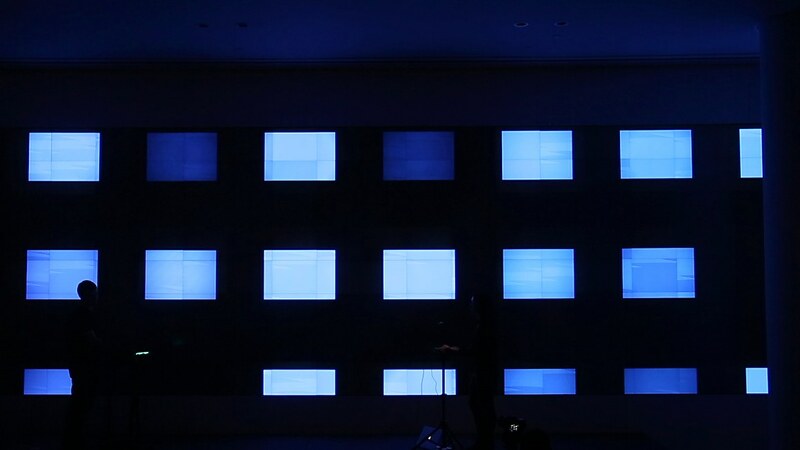 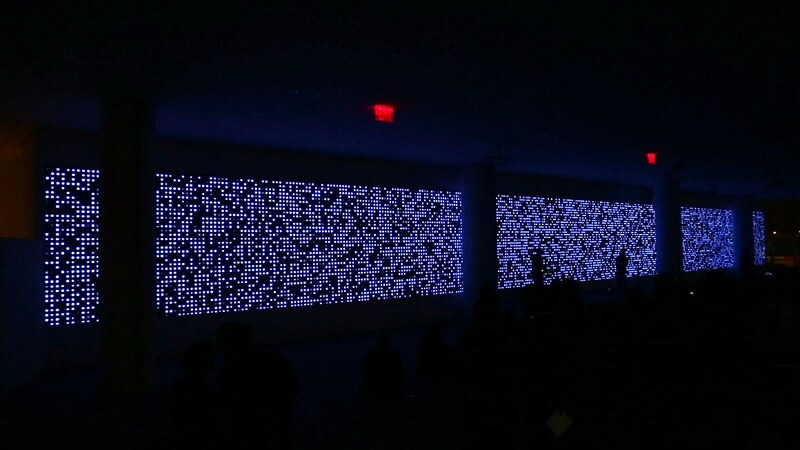 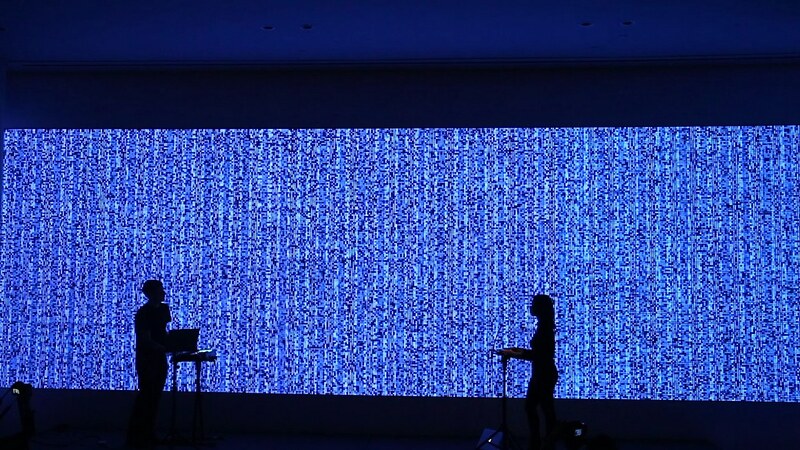 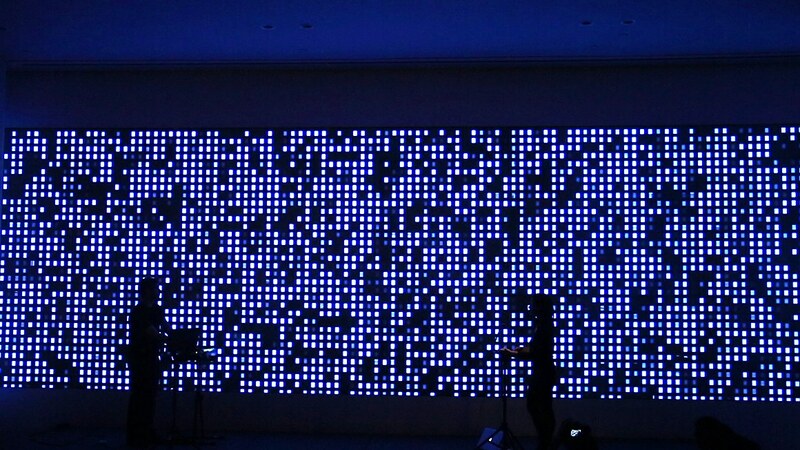 Overview: Indigo is an audio-visual performance designed for a 120-foot-wide screen. 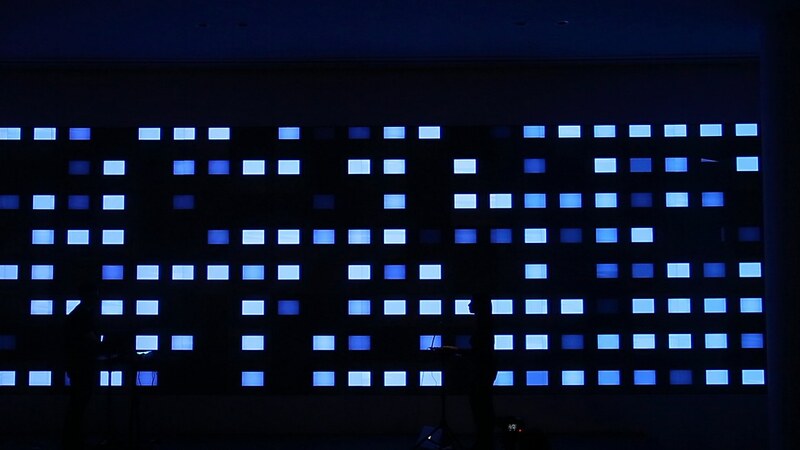 The screen acted as a backdrop as live electronic music was created onstage. 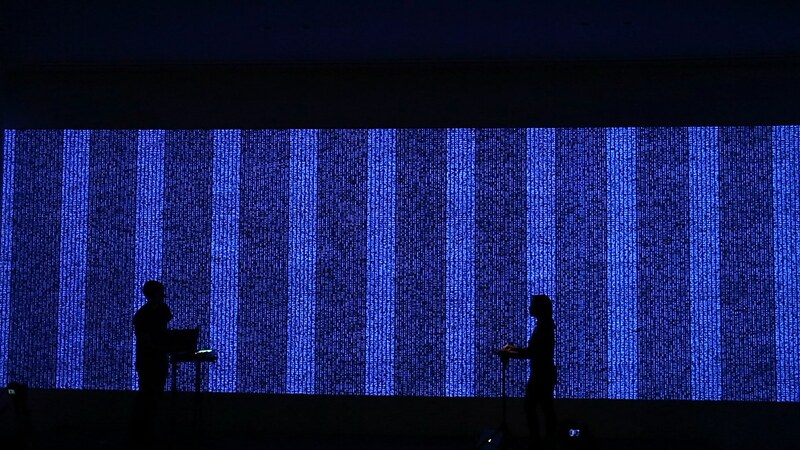 The music was transformed into data on the fly, and signal processing techniques were used to isolate recognizable elements of the sound and map them to visual elements on the screen. 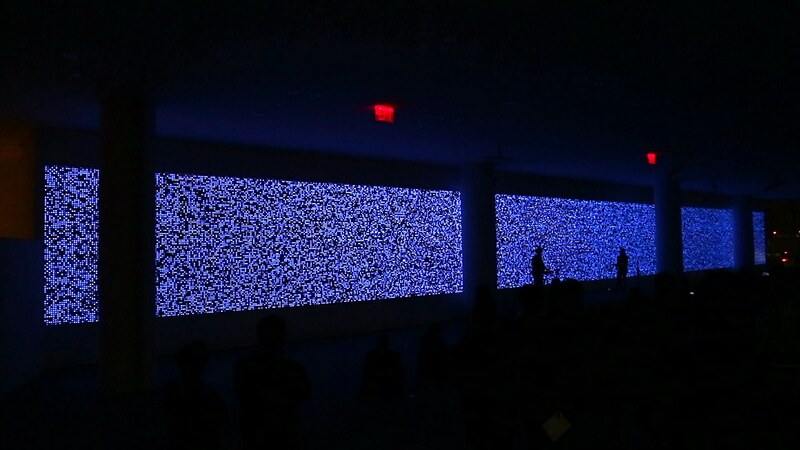 • Indigo was shown at the Interactive Telecommunications Program’s Big Screens Show in 2017, hosted at the IAC Building in Manhattan. 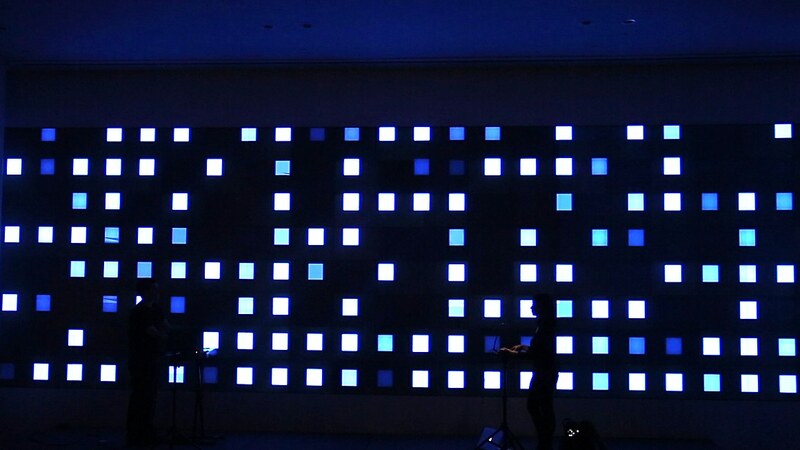 • The project needed to fill almost 9.5 million pixels over a 120-foot-wide screen. 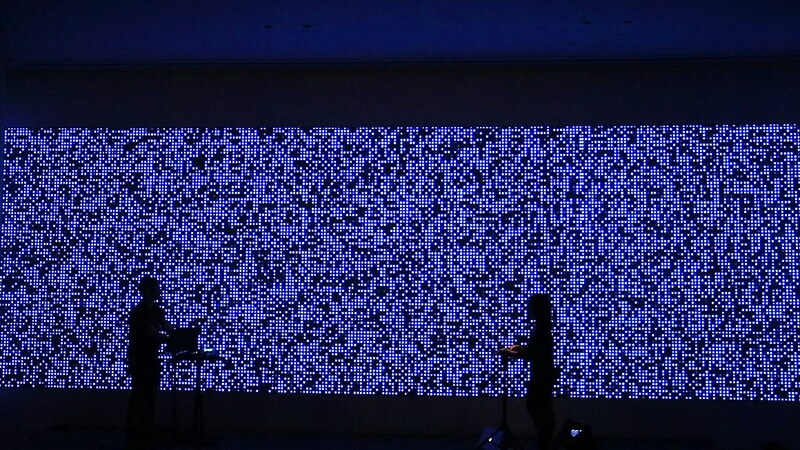 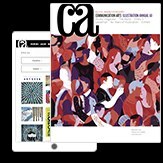 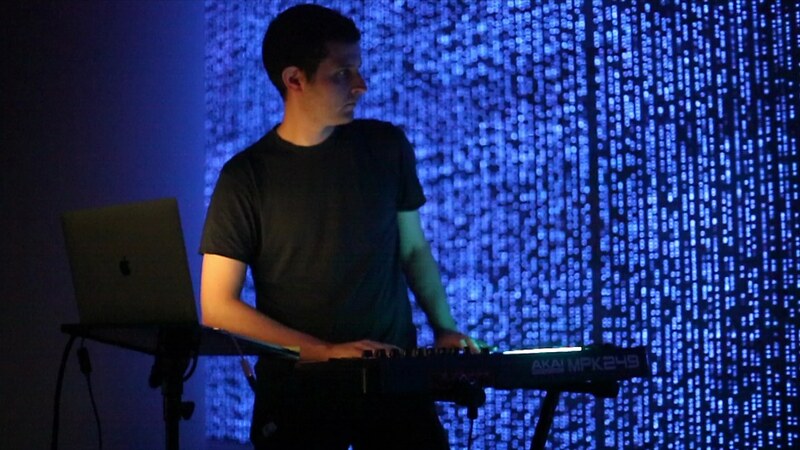 • The project was created using C++, openFrameworks, Open Sound Control and SoundFlower.